What’s a Thai Yoga and or Traditional Thai Massage certificate? What do you need to know to practice Thai Healing Arts legally in the US? You will find all the answers right here! Forwarned as the subject deserves a good answer this post is a long one and you may need to read it more than once. There are many therapists, especially in the US, who passionately argue for licensing. However this article is not about opinions and preferences, but strictly about facts and the legal side of massage vs. Thai Yoga Massage/ Thai Yoga/ Traditional Thai Massage and spiritual/energetically based healing arts in general. Every practitioner of a healing art needs to be clear and to know the legal basis for the art they are practicing. We here at NAIC: Thai Yoga Center can not only answer the question but can provide a legal basis for you to practice anywhere! The first thing we need to understand is that there there is a difference between certification and licensing. You have had a certain amount of training: i.e. minimum standards apply. Certification is only about qualification, skills and training. It does not automatically give you the legal right to practice ANY healing art Thai or otherwise. Licensing Definition: “a permit from an authority to own or use something, do a particular thing, or carry on a trade (especially in alcoholic beverages): a gun license | [as modifier] : vehicle license fees.• formal or official permission to do something: logging is permitted under license from the Forest Service. • Medical and or Allied Medical and or Massage License etc. Many people believe incorrectly that you can only do healing work IF you are “Licensed” by the state! First of all NOT TRUE! This is a myth often perpetuated by “Massage Therapist” and or State Massage Boards. Massage is legally defined as “Rubbing for Money” regardless of perported benefits. Massage is apparently very dangerous and practitioners need to be restricted and licensed by the respective states! Please not all states have these wacky rules. Thus a Massage License gives you the legal right to practice massage, IF your jurisdiction has licensing laws (not all do). A license is generally issued by a legal entity like a state licensing board, for example. However, this Massage Therapy practice is defined strictly an has statutory scope of practice rules and conditions! Let me reiterate that there are still some states which do not have licensing requirements for massage at all! Please note however, they may have local jurisdictional codes or rules by county, city etc. which may have the same effect as a massage ordinance. Additionally, all those laws change frequently. The Fly in the Legal Ointment! Certification means you are qualified to practice massage or any indigenous traditional healing art such as Thai Yoga or Traditional Thai Massage. The issue is that Thai Yoga / Traditional Thai Massage is NOT Massage and or Massage Therapy as defined by law! In the case of Thai Yoga there are special considerations to consider. It depends on how massage and or bodywork is defined. Thai Yoga is quite different from massage and or massage therapy it is an entirely different animal. It is Ayurveda from Thailand. It is the manipulative discipline of Thai Traditional Medicine and Ayurveda (Marmacikitsa). For a deep discussion on What Is Thai Yoga, please read my earlier post on the subject. What is Thai Yoga Part 1, What is Thai Yoga Part 2. 1)State Medical Statute Title XXXII chapter 490 “Psychological Services” Section 490.014 Exemptions. 2)(f) Is a rabbi, priest, minister, or member of the clergy of any religious denomination or sect when engaging in activities which are within the scope of the performance of his or her regular or specialized ministerial duties and for which no separate charge is made, or when such activities are performed, with or without charge, for or under the auspices or sponsorship, individually or in conjunction with others, of an established and legally cognizable church, denomination, or sect, and when the person rendering service remains accountable to the established authority thereof. State Medical Practice: Title XXXII chapter 458 “Medical Practice “Section 458.303 Provisions not applicable to other practitioner; exceptions, etc. (e) Any person furnishing medical assistance in case of an emergency. (f) The domestic administration of recognized family remedies. (g) The practice of the religious tenets of any church in this state. Consider the massage definition of the state of Massachusetts. In the first example if your a religious practitioner meeting the qualification required you not only do not have to have a license your expressing exempted from them! In the Massachusetts example, under the secular rule you can imply an exception but it is not stated… furthermore as it is a secular law it can be changed at anytime! Not only is this confusing it still does not answer the question about whether or not you need a license to practice Thai. Maybe we are asking the wrong question. The question is NOT whether you need a license or not but under what legal basis can you practice regardless of having a license or not. Because we are a Native and Indigenous Tribal community we have been researching this issue and question for years. 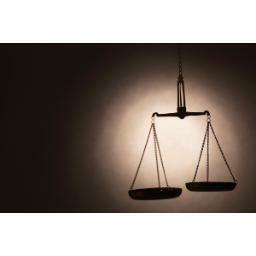 Many bright legal minds and legal experts have weighed in on our legal rights to practice. The question of “Thai” comes from our community adopting Ayurveda of Thailand and Thai Yoga (Traditional Thai Massage) as an authentic traditional , spiritually based healing method or system suitable for our tribal organization to practice. We pass this wisdom on to you now! First thing is if you define or call what you do Massage or Massage Therapy then GET A LICENSE! Once you have that license follow the ethics and scope of practice, don’t cheat and don’t violate the restrictive scope of practice and you’ll be fine. However, if you want to practice Thai Yoga/ Thai Massage legally in the US you don’t need a license but you do need a legal AUTHORIZATION! Remember the Florida Code and the exemptions I listed above? A religious exemption to practice is “on the books” in every state. There are conditions which determine if you personally meet the criteria for exemption however, we can show you the in’s and outs of this process. NO Loopholes! Don’t put your self and your family at risk by working under loopholes and “under the table” etc. Come out into the light and develop your healing practice and career in the light. This type of abusive and unconstitutional law is being suggested and or implemented across the country! NAIC Inc. is not legally responsible for any former students, practitioners and or teachers, non member activities for services rendered. You must have an active NAIC membership to qualify for legal protection under our authority. Your previous training and certificates via THAI, ITTA, Thai Yoga Center, Yoga Alliance, IAYT, ABMP, AMTA, Clayton etc. do not provide you with the legal protections for all the healing work your able to do. However, they may qualify you for NAIC membership. Was your healing and natural medicine training apprentice style? Did you learn your Thai Yoga or Thai Massage practice in Thailand and now want to practice legally in the US? Was your training in Native American and or Indigenous Medicine? Do you have a current license but are having issues with your full scope of practice? Do you practice Ayurveda, Yoga, Yoga Therapy, Thai Yoga and or Thai Massage? Do you practice Reiki, Pranic healing, Aromatherapy, Reflexology, Spiritual Massage, Crystal healing? Do you counsel and or give advise on nutrition, food, diet, eating lifestyle, supplementation, nutrients or other regimen to enhance wellness or address illness? Do you practice detoxification programs such as Pancha Karma? Do you practice emotional healing, energy psychology, traditional naturopathy, holistic psychology or psychotherapy? Want to get out of the Massage Therapy licensing/ Taxed therapy Gerbil wheel? Do you use or recommend Herbs, sacrament and or unconventional herbal therapies for healing? Need legal protection and freedom from expense liability insurance issues? Do you practice Homeopathy, Radionics, Rife or other energy based healing? Do you carry or use Native American Sacrament, Birds of Prey feathers in your healing work for your self or for others? Do you believe healing is a Human Right, as well as a constitutional right? Are you concerned about laws and governmental authorities limiting you and your families access to health care? Are you concerned about mandatory Vaccination issues for yourself or your children? Have you been hiding your healing work? Keeping it on the “Down Low”, avoiding marketing or advertising because of fear? Well, you should know the answer by now! We can help you! Time to step into the light! No loop holes. Loop Holes can be changed, can be closed. Let us show you how to bring your healing work and natural medicine safely into the light as an NAIC Medicine Card holder or Branch Elder. However, In order to qualify for the legal protections offered under NAIC Authority and Membership and or Authorized Blessed medicine Cards Program, additional training and or NAIC Certification may be required. To apply for ONACS Membership and or for more information Click Here! Six Different Blessed Authorized Memberships Levels to Serve You. To be clear. If you are practicing Complimentary and Alternative Medicine (CAM), Ayurveda, Yoga Therapy, SomaVeda®, Thai Yoga, Thai Massage, Pancha Karma, Nutritional and or Food Counseling, Detox Programs, Bio-Energetic, EFT, Bio-Tapping, Massage, Reiki, Herbology, Homeopathy, Flower Remedies, Aroma Therapy, Traditional Naturopathy, Kinesiology, Native American Medicine, Lomi Lomi, Acupressure, Ministerial Counseling and or Psychological services, Colon Hydro-therapy, Iridology, Flower Remedies, Acupressure and or similar without a license which specifically includes your actual scope of practice and services rendered to the public, your practice may be illegal and you are “at risk” and possibly subject to legal penalties including fines, censure and prosecutions from various local, state and federal authorities. Question? What if I have a Massage, Massage Therapy or other License? Doesn’t that protect me? State and National Massage Therapy Scope of Legal Practice do NOT include many CAM practices and therapies such as Ayurveda, Pancha Karma, Detox Programs, Assessments, Psychological and Emotional Therapies, Thai Yoga, Thai Massage, Yoga Therapy, Spiritually based Massage, Food, Eating and Supplement strategies, personal and spiritually based Psychological Counseling etc. In fact they may specifically prohibit you from doing them! (Read your Scope of Practice State Massage Law!) More than this, if your practicing out side your Legal Scope of Practice as defined in your particular state your Liability Insurance is not covering these practices in the event of an accident or claimed injury! Most Massage Liability Insurance programs such as AMTA, ABMP etc. specifically state that in your practice outside your SOP the policy is “null and void” in the event of a claim! Recently, we have received reports that unlicensed, out of scope of practice healers are being prosecuted, fined, censured and literally shut down because they did not have the forsight to plan ahead and establish a legal basis for their healing work. Both the Federal Gov’t and all Licensing States have hired additional investigators specifically to track down, investigate and prosecute/ persecute so called “Unlicensed” practitioners. They have every legal right and mandate to do so. Lets say it Again… No Loop Holes! The only reasonable answer to avoid both legal and liability issues to to establish and claim your right to practice today with an NAIC Membership. We want to ensure all of our graduates, former and current students rights to practice without fear or interference. If you have not applied for the appropriate NAIC Authorized Membership, do so today! Unlike other “associations” it’s a one time fee for most memberships. 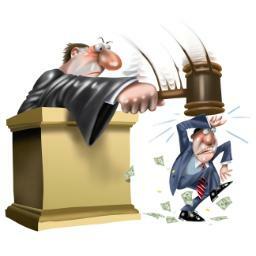 Don’t put your practice, your clients, your life at risk of legal jeopardy! Come out of the “Loop Hole” shadows. Stop basing your future on “Maybe no one will file a complaint”. Take immediate and positive action to create a legal basis for your healing work today! If your not sure if your specific practice is covered or if you have any questions regarding NAIC Membership and or our Authorized Blessed Medicine Card Program, contact us today by email or phone. NAIC is the only way! Everyday and in around our Nation, Native American Indigenous Church and our parent organization and its members are successfully standing up for their constitutional rights under the protective umbrella of NAIC. This protection is showing itself in the exchange of healing and healthcare services, protecting access to indigenous traditional and natural medicine, protecting the right to use prayer, affirmation, energy and laying on of hands, transporting, receiving, utilizing Sacred Sacraments, and NAIC independent branches receiving relief from property taxes and etc. The only way you can benefit is to be a member. The only way you can share the umbrella of NAIC legal protections for your rights is to be a member. The only way you can practice and express your legitimate healing and natural medicine based medicine is to be a member. The only way to guarantee your family, friends and clients access to your practice is to become a member. Join our NAIC community today! What about schools, clinics and or intentional healing communities? 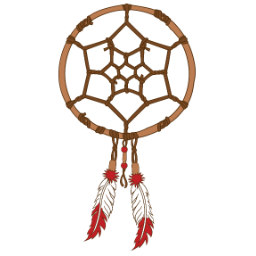 Are you a teacher, school director, owner, Medicine Elder, wellness center, dispensary owner and wish to protect your community, clients, members and or and students under our protective legal umbrella by affirming your sincere and firmly held belief in Native American healing principles? Contact us to day for information on how to form your own independent NAIC Branch. I welcome your questions. We here at the Thai Yoga Center have been teaching and issuing professional certification in Traditional Thai Yoga, Ayurveda and Traditional Thai Massage full time since 1984. Absolutely, we know how to practice Traditional Thai Yoga, Traditional Thai Massage legally!